The staff we're very friendly and helpful, the unit was priced well and very well-insulated so it maintained a great range of temperature better than many other storage units I've seen. I was there about a year-and-a-half and everything was flawless never ran into any trouble. Highly recommend. Our unit was very clean, and easily accessible. 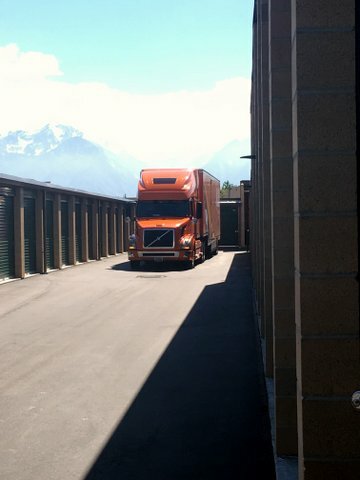 We like the wide space between storage units, so it was easy to pull in a truck to load and unload. We would use this facility again. Think Storage is cleaned and well organized. The rate is competitive and the location is great for us. The staff is friendly and helpful. Will definitely use it again when we have needs of extra storage space. Th!nk Storage is locally owned and operated since 2010. We take pride in having a facility that is secure, clean, and well managed to protect your valuable items. We have individually alarmed units, secure gate access, resident manager, and 36 high-resolution cameras so we know who is on our property at all times. For convenience, we've built a facility with two access points and extra-wide drive aisles big enough for a large semi truck. Drive right up to you unit 7 days a week between 6 am and 10 pm. We have a large variety of units to fit your personal and business needs and offer drive-up units, units that are temperature controlled or insulated. If you need to store a boat, car or RV choose between an outdoor or indoor space to keep your toys secure. When you are ready to get things stored use our dollies and carts. Stop by the office to purchase boxes and other supplies. Rent a storage unit or parking stall today and make your monthly payments online with ease. TH!NK Storage - The BEST storage facility, serving the South Jordan, West Jordan, Riverton, Herriman, and Bluffdale communities with state of the art storage features. 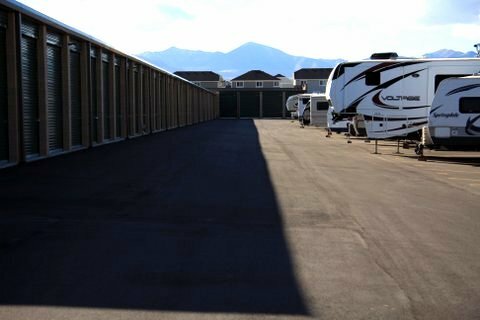 We’re close to Daybreak, directly next to Costco, and easily accessible from 10400 South and Bangerter Highway. Rent a unit today!